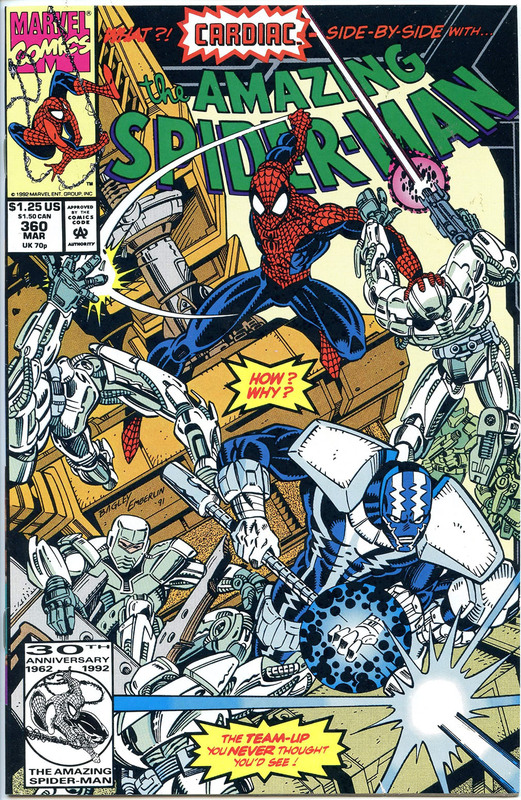 Marvel Comics Presents was published from 1988 to 1995. The original plan was for the lead story to feature different members of the X-Men in solo adventures lasting between eight and ten episodes. The first ten issues featured Wolverine; others featured were Colossus, Cyclops, Havok, and Excalibur. From issue 39 onwards,Wolverine was featured as the lead story in all issues. Particularly notable was “Weapon X” in issues #72-84, which revealed Wolverine’s origin, with story and art by Barry Windsor-Smith. In the 1980s, Banner once again gained control over the Hulk, and gained amnesty for his past rampages; however, due to the manipulations of supernatural character Nightmare, Banner eventually lost control over the Hulk. It was also established that Banner had serious mental problems even before he became the Hulk, having suffered childhood traumas that engendered Bruce’s repressed rage. Banner comes to terms with his issues for a time, and the Hulk and Banner were physically separated by Doc Samson. Banner is recruited by the U.S. government to create the Hulkbusters, a government team dedicated to catching the Hulk. Banner finally married Betty in The Incredible Hulk #319 (May 1986) following Talbot’s death in 1981. Banner and the Hulk were reunited in The Incredible Hulk #323 (Sep. 1986) and with issue #324, returned the Hulk to his grey coloration, with his transformations once again occurring at night, regardless of Banner’s emotional state. In issue #347 the grey Hulk persona “Joe Fixit” was introduced, a morally ambiguous Las Vegas enforcer and tough guy. Banner remained repressed in the Hulk’s mind for months, but slowly began to reappear. Captain America vol. 7 was launched in November 2012 with a January 2013 cover date by writer Rick Remender and artist John Romita Jr..
On July 16, 2014 Marvel Comics announced that the mantle of Captain America would be passed on by Rogers (who in the most recent storyline has been turned into a 90-year-old man) to his long-time ally The Falcon, with the series being relaunched as All-New Captain America. Steve Gerber’s Foolkiller miniseries, illustrated by JJ Birch, was published from October 1990 to October 1991. It focused on a new character, Kurt Gerhardt who had reached a state of homicidal despair after the random murder of his father, a divorce, the loss of his bank job (part of the saving and loan crisis), and being brutally robbed at his new job in a fast-food restaurant. Each version of the Foolkiller primarily used a “purification gun,” a pistol capable of shooting a laser-like beam of energy capable of totally incinerating a human being within seconds. They also used mobile computer systems and surveillance systems to locate and track victims. All of the Foolkillers have been athletic men with no superhuman powers, and all are criminally insane. Gerhardt was skilled in basic hand-to-hand combat and had developed a high tolerance for pain. He was also a good strategist and a master of disguise. Chris Claremont made a brief return from #381 (June 2000) to #389, at which point he transferred to the new X-Treme X-Men title, as Grant Morrison took over the X-Men vol. 2 and that became the flagship X-Men title. From 2001 Lobdell made a short return, and then Joe Casey and Chuck Austen wrote runs into 2004. The title became bimonthly from 2003 to 2004. The X-Men: Reload reshuffle of titles in 2004 led to Claremont returning to Uncanny with issue #444. The stories addressed the new status quo established by Morrison, with Jean Grey having died again, and Cyclops in a relationship with Emma Frost. Claremont remained until #473. His final story was the “Death of the Greys” in 2006, as part of the “Decimation” storyline, where the vast majority of mutants had lost their powers. He was replaced by Ed Brubaker, who wrote a 12-part epic space opera story “The Rise and Fall of the Shi’ar Empire”, as a follow-up to his miniseries X-Men: Deadly Genesis. After this the title led into the “Messiah Complex” crossover event, dealing with the first mutant birth since the Decimation.